This 8" Italian Stiletto from SKM comes in the Lever Lock Shot Puller style with a cocobolo wood handle, brass bolsters, and a flat grind blade. 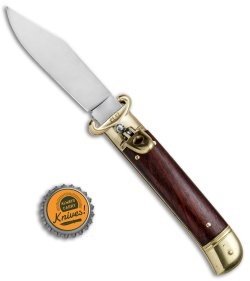 SKM specializes in collectible Italian stilettos made with traditional knife-making techniques. 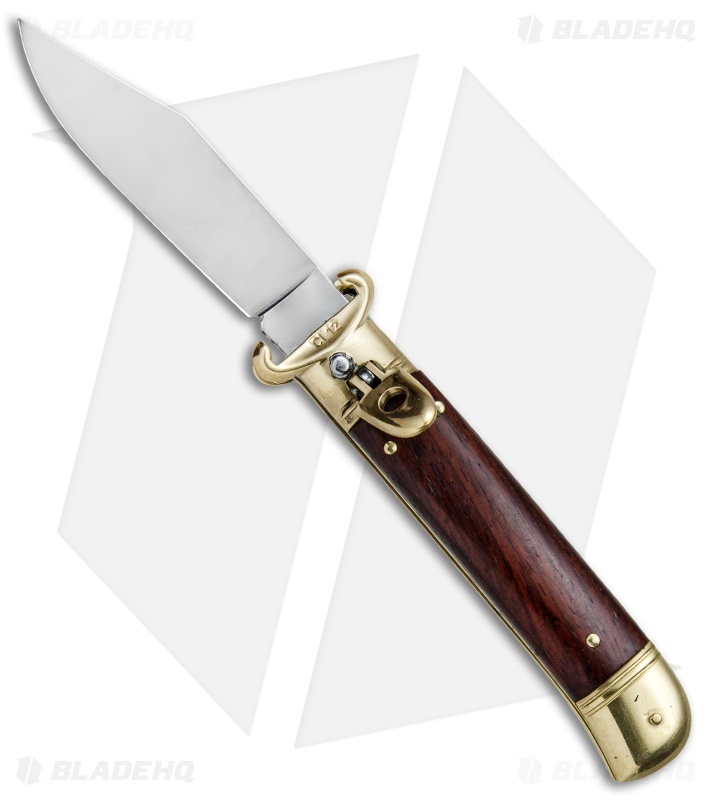 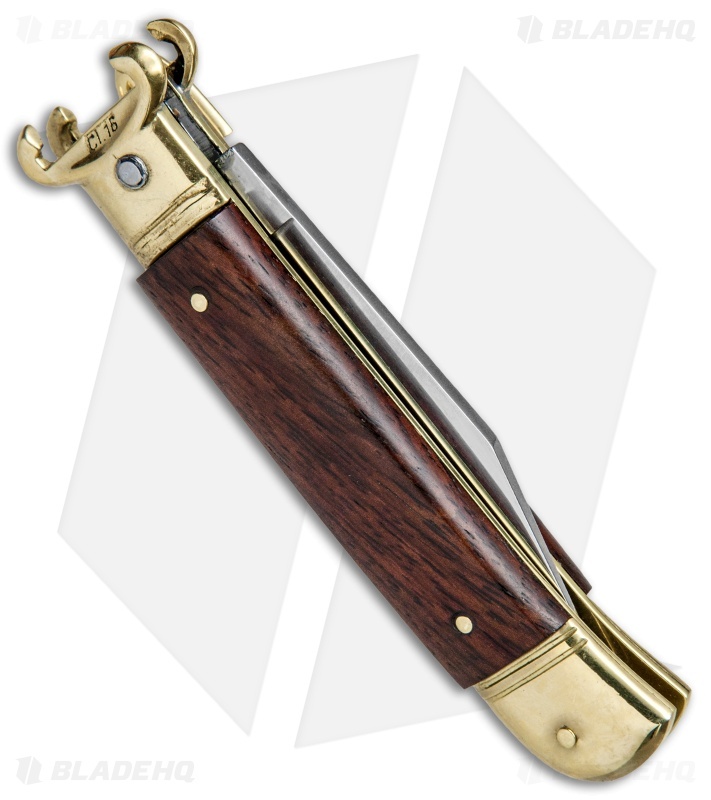 This 8" Lever Lock model has a cocobolo handle with a sturdy stainless steel blade. Brass pins and liners add a classic finishing touch to the design. 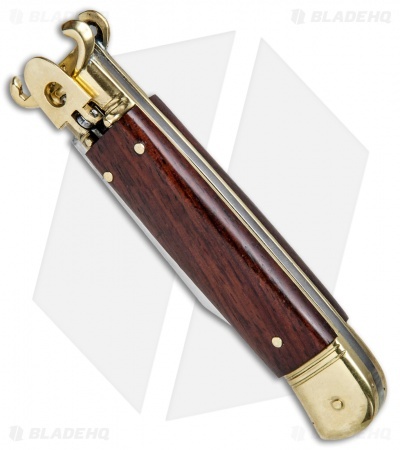 Add classic Italian style to your collection with the SKM 8" Lever Lock stiletto.